Is it bad to wear an old prescription? It all depends. Sometimes an incorrect prescription can cause eyestrain and some blurriness. There are times when we will reccomend using a weaker prescription to make reading easier or to allow for midrange computer viewing. It is always suggested to have a backup pair of glasses. We would always rather a patient have a weaker pair than no pair at all. Everyone always needs a backup pair. What can I do to protect myself from blue light? We offer specialized coating than can be applied to your prescription lenses that block the harmful blue light. Crizal Prevencia and Hoya’s Recharge will both make computers easier and safer for the eyes by filtering out the blue light. Can wearing someone else’s glasses hurt your eyes? Each pair of glasses is designed for that persons particular prescription. The placement of the lenses in the frame must center correctly in front of your eyes to see correctly. While someone else’s glasses may be a similar power, the placement of the lenses may not be correct for you. This won’t cause physical damage, but it may result in eye strain. If the prescription is too strong, it may make your reading more difficult and make your eyes get worse, as well as cause headaches & eye fatigue. Maturity is more important than age. We have fit children as young as 10, but generally speaking, 12 or 13 year olds are more mature and patient when learning to handle contact lenses. I see fine without glasses. Why should I need a routine eye exam? An eye exam does more than just check for a prescription for glasses or contacts. The health of your eyes is important. Many eye conditions have few symptoms, but require treatment. Many systemic diseases show up early in your eyes. The back part of your eyes in called the retina. It is the only place in your body that you can directly look at your blood vessels. Systemic diseases such as diabetes and hypertension can often be detected, as well as eye diseases such as glaucoma, cataracts & macular degeneration. When I wear my contacts, my eyes are usually dry and uncomfortable after a long of day work. What can I do to help with this problem? Uncomfortable contacts in a major reason why people drop out of contact lens wear. We have many new options to make contacts more comfortable. 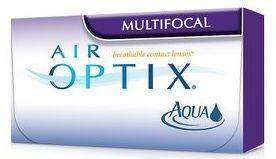 We have high oxygen lenses that transmit more oxygen and breathe better. Many of our patients have switched to daily replacement lenses. Most contacts feel great on day one and get drier after 1 -3 weeks. By replacing them daily, every day is day 1. Daily replacement solves the dryness issue for many patients. What are the best ways to wear contacts if I have a history of allergies? Daily replacement lenses are ideal for patients with allergies. Instead of the mucous build up on the lenses, you just toss them and start fresh. There is also no CL solutions and preservatives held against the eyes. My eyes get so tired after using the computer all day. Is there anything that I can do to help? We have many solutions to help. Digital eye strain is a huge problem for many people. Our office offers lenses to protect against blue light exposure. We also have specialized computer lenses for many different working distances. Many patients are also helped by contact lenses with extra reading power to relieve near strain. Are electronic devices really unhealthy for my eyes or is it all hype? Our heavy use of electronic devices is causing Digital Eye Strain for people of all ages. Hoya research shows that 61% of adults experience eye strain due to prolonged use of electronic devices. Nearly 25% of children are on digital devices 3 or more hours per day and 40% of Millennials spend 9 or more hours per day on digital devices. The benefits of technology have a downside, especially fatigue brought on by stress to the accommodative (focusing) system. This stress can lead to headaches, dry eyes, blurred vision and difficulty when focusing from distance to near. We can help! Glass Vision Associates in Boca Raton, FL offer a number of different eyeglass lenses that can help people of all ages relieve Digital Eye Strain and ease fatigue after extended reading or computer use. There are also lens treatments such as anti-reflective and blue light blocking to protect our eyes and make our eyes more comfortable. We also prescribe many different types of contact lenses to make reading more enjoyable and make it easier to focus from distance to near. Blue light is part of visible light and close to UV on the light spectrum. It is naturally produced by the sun, used in fluorescent light bulbs and emitted by LED screens on computer monitors, tablets, and smartphones. The eyes’ natural filters do not block blue light and chronic exposure can cause age – related macular degeneration. Evidence also shows that blue light exposure can lead to sleep problems. My child says it gets blurred when looking his paper to the board at school, and getting him to read is difficult. Is there anything I can do to help? Your child is not alone. While we have seen some children with focusing problems for many years, there is a huge increase in accommodative(focusing) problems with children today. Dr. Glass has helped many children make reading easier and more enjoyable. Words shouldn’t move in and out of focus or move around when you are reading. Either with spec lenses with extra power for reading or multifocal contacts, we can make reading more comfortable for many children. There is no reason to make school and reading more difficult by straining and having the eyes work harder to see. My child passed the screening test at school, isn’t that enough? Distance and reading are two different things. Someone with perfect distance vision can still have focusing problems up close. Doctors need to check for both, many children have undiagnosed accommodative (focusing) problems because no one ever looked for it before. Dr. Glass always checks the distance and near vision on all ages because it is so important. Other areas that need to be checked is eye muscle alignment, color vision, depth perception, and overall health of the eyes. What are progressive computer glasses? Progressive lenses let people see at distance, midrange and reading. Since they are used full time for all activities like driving and TV, when looking straight out, you see distance. You must lift your chin a little to see the computer. Progressive computer glasses are made for heavy computer use. When looking straight ahead, your eyes focus on your computer and when you look down, you can read. Some lenses can focus out 5 feet, others out to 10 feet. Generally speaking, progressive computer lens are for computers and reading due to their larger midrange zone and are not recommended for driving. They can be perfect for anyone who spends long hours in front of a monitor. Progressive lenses are also called no line bifocals or multifocals. We like the term multifocal because it describes what they do: they focus at multiple distances at a time. For example, if you were shopping at the grocery, you would need to see far away to see the signs to find out what aisle you need, that is distance. Once you are there, you need to scan the shelves to find the item that you wanted, that is midrange. Once you find the item, you pick it up to read the ingredient, that is near vison. Progressives allow you to see different distances without having to lift up your glasses or reach for readers. Bifocal glasses are old technology originally designed by Benjamin Franklin. They have a line which divides the lens with distance on the top and reading down below. There is no midrange so computer work is very difficult. Our office seldom uses bifocal lenses since midrange like dashboards and computer monitors are out of focus with a traditional bifocal design. Reading gets more difficult around age 40. This is called presbyopia. By our late 40’s midrange gets more difficult also. Reading glasses focus at one spot, give or take or few inches. Let’s say for example 16 -20”. So when you are wearing the reading glasses, you can see clearly at 16 – 20”. Distance and walking would be blurred if you were looking through them, as well as someone’s face 3 feet away. That is why you see people wearing glasses at the end of their nose, so that they can look over them to walk. Sometime people will use one power for reading and a weaker power for computers. Glasses are more than just the power in the lenses; it is also where the lenses are placed in front of your eyes. Even people with the same prescription many have their eyes looking through different places in the lens and create eyestrain. Borrowing your friend’s readers at the restaurant will not cause permanent damage, but it is best to get your own pair in the correct prescription. I see fine without glasses. Why should I need a routine exam? Vision and how we see is only a part of an eye examination. Ocular health evaluation for diseases such as glaucoma, macular degeneration, cataracts, dry eyes, diabetes, and hypertension is something we want to detect in the early stages before they become big problems, and can severely affect our eyesight.